With a stay at Hotel City Center, you'll be centrally located in Brussels, steps from Rue Neuve and within a 5-minute walk of City 2 Shopping Mall. This hotel is 0.6 mi (0.9 km) from Le Botanique and 1.8 mi (2.8 km) from Manneken Pis Statue. The Theater Hotel Brussels, situated in the heart of Brussels, is perfectly placed for the city’s business centre, shopping districts and cultural sites. 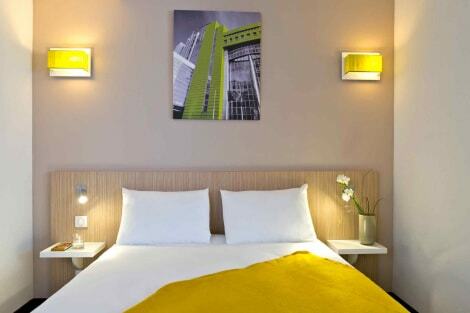 The brand new rooms are comfortable, bright and spacious, ideal for a memorable stay in Brussels. The hotel provides a wide choice of rooms whether it is a single room or a four person suite to meet your accommodation requirements. The design rooms provide free Wi-Fi access, a flat-screen TV, a private bathroom and a large wardrobe. The reception hours are from 7am to 11pm. The check-in should be done during those hours. The Adagio Access Brussels Europe, just a stone's throw from the European institutions and Brussels Royal Park, offers 110 fully equipped apartment studios for two to four people. A mini-market six minutes from the apartment hotel means you can buy grocer ies and reheat meals or cook in your apartment. A buffet breakfast is served 7 days a week. An ideal location from which to take full advantage of the city during a business trip or a cultural break. The Midi Station Hotel is a brand new property just minutes from Brussels Gare du Midi, making this property a perfect base for leisure guests and business travellers. The property has a very modern and urban feel and will suit the budget conscious travellers. Located in Brussels, HOTEL NEW PRINCE DE LIEGE is in the historical district, a 4-minute drive from Constant Vanden Stock Stadium and 6 minutes from Astrid Park. 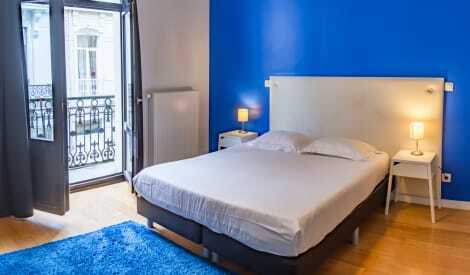 This hotel is 1.3 mi (2.2 km) from Erasmus House and 1.5 mi (2.5 km) from Brussels Aquarium.